Ikeja – A 25-year-old woman, Amaka Oranwe, who allegedly beat her teenage housemaid to pulp, on Tuesday appeared before in an Ikeja Chief Magistrates’ Court. Oranwe, who resides at 26, Anipele St., Mushin, Lagos, is facing a two-count charge of assault and assault occasioning harm. The prosecutor, Insp. Benson Emuerhi, said that the woman beat her 13-year-old housekeeper, Ifesinachi Ibekwe, to pulp and wounded his hands with a knife. Emuerhi told the court that the accused committed the offences on July 3 at her residence. 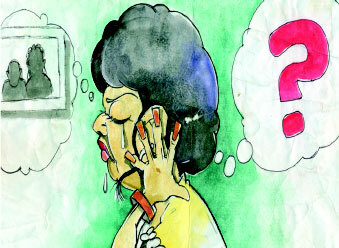 “The victim was brought to Lagos to work as a housemaid at the accused’s house. “Oranwe usually beats the housekeeper and inflicts injuries on him whenever he does something wrong in the house. “The woman again beat him up to pulp and inflicted injuries on his hands for not waking up in time to do house chores,’’ Emuerhi said. According to him, the accused was arrested by the police following a tip-off. The offences contravened Sections 171 and 173 of the Criminal Law of Lagos State, 2015. The Chief Magistrate, Mrs O. Sule-Amzat, granted the accused N20, 000 bail with two sureties in like sum. The magistrate ordered that the sureties should be gainfully employed, have property in Lagos State, and possess evidence of two years’ tax payment to the state government.